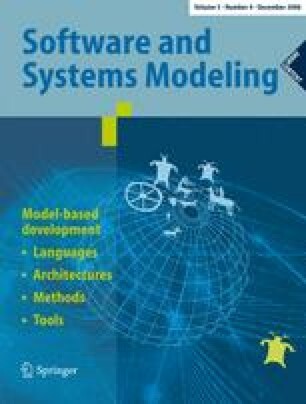 With the recent trend to model driven engineering a common understanding of basic notions such as “model” and “metamodel” becomes a pivotal issue. Even though these notions have been in widespread use for quite a while, there is still little consensus about when exactly it is appropriate to use them. The aim of this article is to start establishing a consensus about generally acceptable terminology. Its main contributions are the distinction between two fundamentally different kinds of model roles, i.e. “token model” versus “type model” (The terms “type” and “token” have been introduced by C.S. Peirce, 1839–1914. ), a formal notion of “metaness”, and the consideration of “generalization” as yet another basic relationship between models. In particular, the recognition of the fundamental difference between the above mentioned two kinds of model roles is crucial in order to enable communication among the model driven engineering community that is free of both unnoticed misunderstandings and unnecessary disagreement. Communicated by Dr. Reiko Heckel.